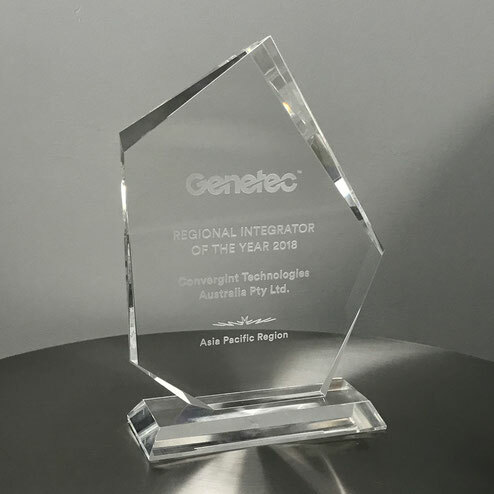 We are proud to announce that Convergint Technologies Australia has been recognized as Regional Integrator of the Year, 2018 (Asia Pacific Region) by leading security platform Genetec. 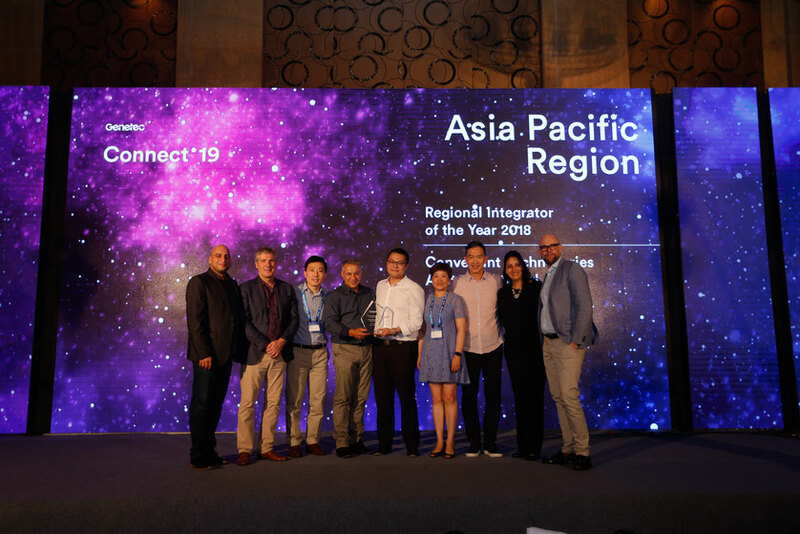 Convergint Technologies Australia (formerly Integrators Australia) works with ICD Security Solutions (a Convergint Technologies company) as one team in Australia. Together we provide customer-centric security and IT integration services to local and global clients in the region. Our philosophy of extensive product lines, unbiased recommendations at ICD means that we draw on an extensive global network of partners to design security systems that integrate components from a broad range of product lines. This way, each solution is fully customized to meet each client’s requirements whilst providing the highest level of security and stability. Find out more about the companies we partnership with here.